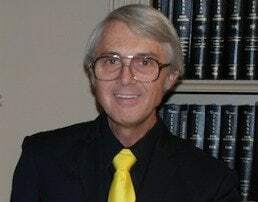 Colonel, USAF Retired, Michael (Mike) W. Lamb is the Legal Operations Manager of the Law Office of Robert B. Goss, P.C. Mike brings over 42 years of dedicated military service to the Firm, and our clients. As a disabled veteran himself, Mike is dedicated to obtaining the benefits that our men and women veterans earned. Mike began life as a Navy brat, but chose to enter the Air Force in 1971 starting his career as an Electronic Computer Systems and Radar Systems Technician. Working towards his degree in Electronic Engineering, Mike entered the University of Arizona in 1980 after being selected for the Airman’s Education and Commissioning Program. Mike received his commission in 1983. He holds numerous degrees to include: Masters of Science in Astronautical Engineering, MBA, MA in Military Operational Art and Science, and a MA in Strategic Studies with honors. He completed his first Doctoral degree in Management, a second in Management Information Systems, and a third in History. Colonel Lamb has held many positions throughout his 36 years in uniform from NCOIC to Commander. Mike’s combat service includes DESERT STORM, DESERT FOX, ALLIED FORCE, and IRAQI FREEDOM. Mike served as a Squadron Commander, Group Commander, and Wing Commander. After his military retirement, Mike continued to serve six more years as a government civilian; serving the nation for a total of 42 years. He is a disabled veteran that knows personally what veterans go through in order to access their veteran’s benefits. Mike was awarded the National Courage Award from President Ronald Reagan; honored with the Ten Outstanding Young Americans Award by President George H. Bush and nominated for Outstanding Young Persons in the World; the AFA Theodore Von Karman Award; General Bruce K. Holloway Award for humanitarian work; the Defense Intelligence Agency Director’s Award, and the Director of Intelligence Award of Merit. He remains an active volunteer in the community at the national, state, and local levels to include Boy Scouts, Girl Scouts, Civil Air Patrol, Red Cross, FEMA, VFW, AFA, ARC, and in his church. Mike brings vast military experiences as an enlisted and officer as a combat tested leader, mentor, award winner, and has been nationally recognized. He will be managing all legal operations and support; he is absolutely committed to the veteran.